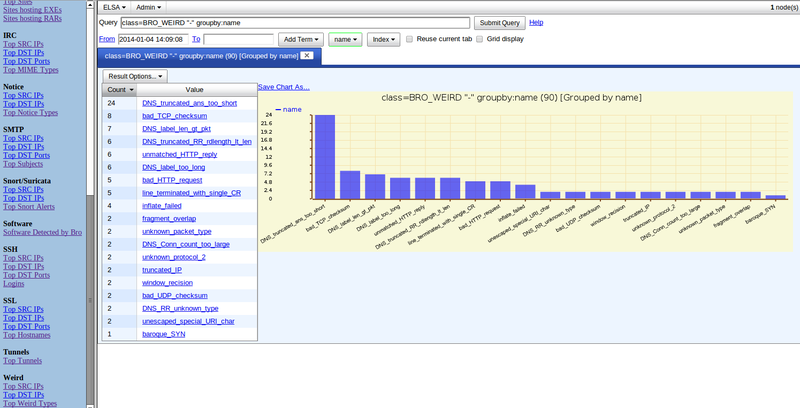 Snort 2.9.5.6 and Suricata 1.4.7 packages now available! I've packaged these new releases and the new packages have been tested by JP Bourget and David Zawdie. Thanks, guys! 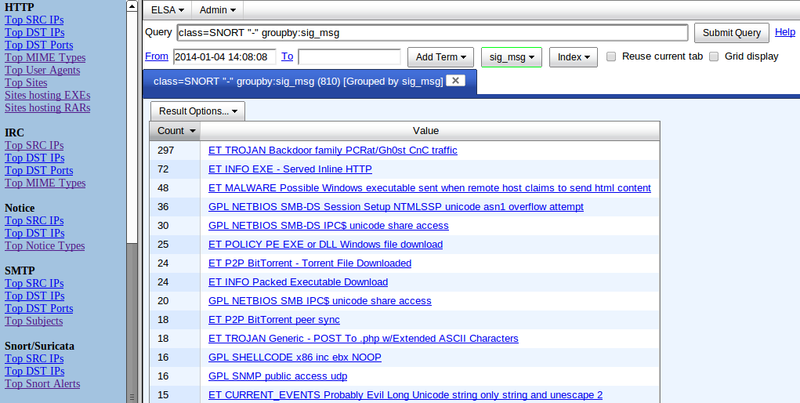 Snort is now compiled with --enable-sourcefire. I've updated our recently released securityonion-web-page package to add links that will group SSH connections by country and status. The updated package version is securityonion-web-page - 20120722-0ubuntu0securityonion14. I've updated our recently released securityonion-web-page package to fix the ELSA Tunnel query. The updated package version is securityonion-web-page - 20120722-0ubuntu0securityonion13. I've updated our securityonion-web-page package. The updated package version is securityonion-web-page - 20120722-0ubuntu0securityonion12 and has been tested by David Zawdie. This package adds a new URL (https://your.security.onion.hostname/elsa/) that includes a menu on the left with some common ELSA queries. Scott Runnels has fixed a bug in the recent securityonion-elsa-extras package. The updated package version is securityonion-elsa-extras - 20131117-1ubuntu0securityonion28 and has been tested by David Zawdie. I've updated our CapMe package with some new features. 1. On the CapMe main page, change the Output option to "pcap" and click the "submit" button. The pcap will automatically download. 2. If you choose a tcpflow or bro transcript, hyperlinks to the full pcap will be placed at the top and bottom of the transcript page. If you had previously configured Snorby to render timestamps in your local timezone, you would have noticed that pivoting to CapMe would not work since CapMe expects the timestamps to be in UTC. CapMe now supports setting your local timezone so that it can convert timestamps back to UTC and find sessions properly. 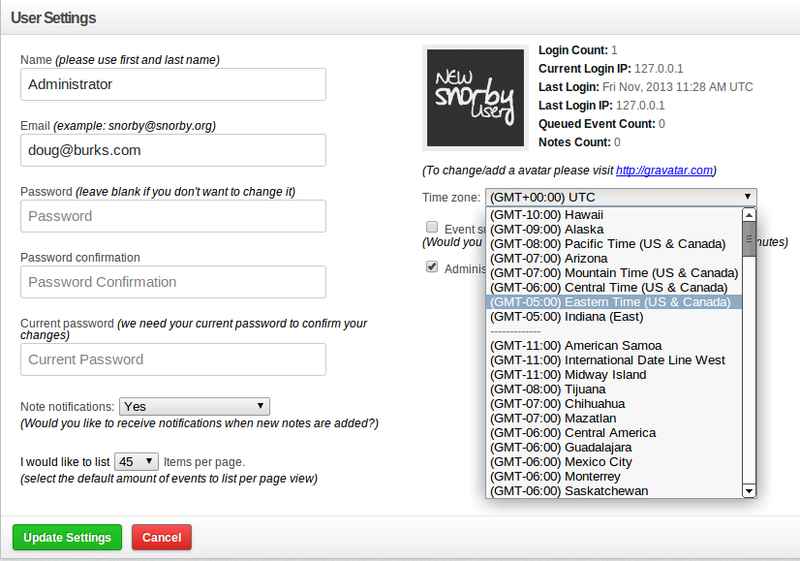 Set your local timezone in /var/www/capme/.inc/timezone.php. When you submit a CapMe request, it creates a symlink to the actual pcap in /var/www/capme/pcap/. /etc/cron.d/capme is a cron job that runs every minute and deletes any symlinks in /var/www/capme/pcap/ older than five minutes.